Over the past two decades, cyberbullying has become a major focus for parents, educators and researchers. Stopbullying.gov lists several effects of cyberbullying, including depression, anxiety and decreased academic achievement. Judging from popular culture, the narratives surrounding cyberbullying tend to have at least one of two themes. 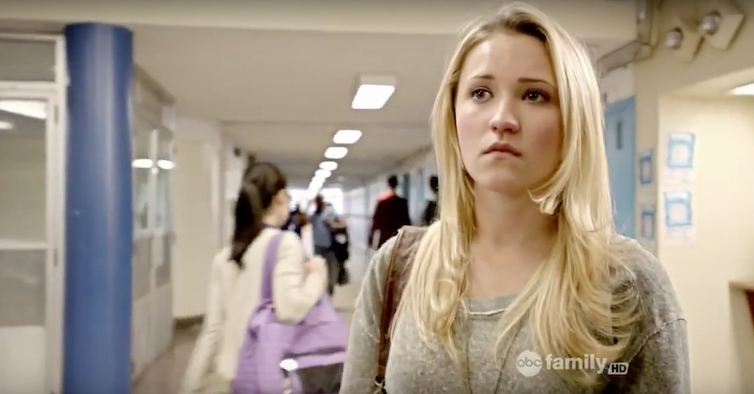 One, cyberbullying is a mob-like phenomenon: Television shows such as “American Crime” depict a group of teens preying on a vulnerable individual by using social media and text messaging. Second, the face associated with cyberbullying is often a white one. Both in the aforementioned “American Crime,” for example, and in the television movie “Cyberbu//y,” the victim is white. Without discounting youth bullied by groups of their peers or young white men and women who have been cyberbullied, there’s a missing piece of this equation. As a researcher of technology usage and racial inequality, I am interested in the racial differences in cyberbullying. 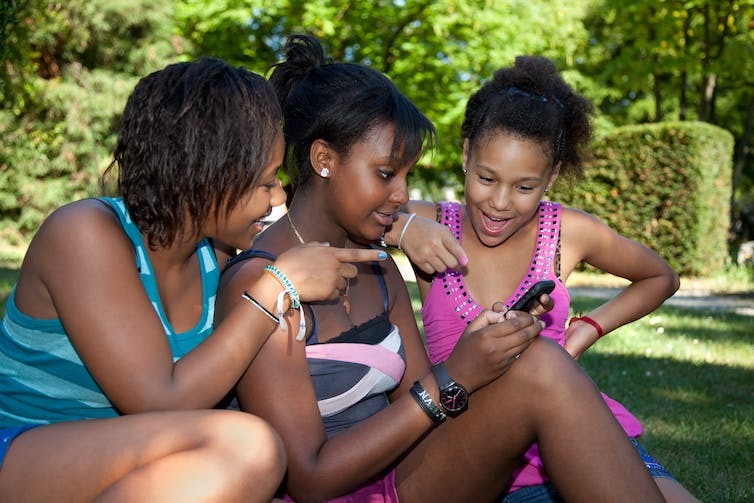 Studies from the Pew Research Center have shown that African-American youth own smartphones at higher rates and use them more frequently than youth of other backgrounds. My own research has shown that young African-Americans have more positive views toward technology than other segments of the population. Their frequency of use and willingness to engage with new technologies suggest that black youth may frequently find themselves in contexts that can lead to cyberbullying – both as victims and perpetrators. One of those contexts is in digital communication within a current or past relationship. Although much media attention has been paid to the mob characteristics of cyberbullying, there’s ample opportunity for cyberbullying in one-to-one situations. In these scenarios, cyberbullying is a form of intimate partner violence, which the CDC describes as physical, sexual or psychological harm by a current or former partner or spouse. I used survey data collected from September 2014 to March 2015 by the Pew Research Center to explore connections between race and cyberbullying. These teens were then asked a series of yes or no questions about their experiences with cellphones in intimate relationships. Nine questions were about their partners attempting to control or harass them through cellphones. These questions measure cyberbullying victimization. Six questions were about how the respondents themselves attempted to control or harass their partners. These questions measured offensive cyberbullying. My analysis showed that African-American youth as a group responded “yes” to questions about cyberbullying victimization and perpetration more than other groups. https://datawrapper.dwcdn.net/gAVFM/3/More in-depth analysis shows that common criminological and sociological explanations do not explain the racial differences. For example, one common theory is that students who have unpleasant experiences (what are often called “strains”) are more likely to lash out and bully others. The Pew survey asked questions about unpleasant experiences online such as seeing people post events they weren’t invited to or feeling pressure to post things online that make you look good to others. However, African-American teens are more likely to be perpetrators and victims of cyberbullying – even when they report similar amounts of strain. The difference in reported cyberbullying is also not a result of social class. Middle-class black teens are more likely to be perpetrators and victims when compared to their white middle-class peers. Why are there racial differences in cyberbullying? Given the relatively small sample size (361 teens), it would be unwise to jump to any major conclusions. Moreover, we don’t have sufficient data on Asian-American students, so African-American youth can only be compared to white and Hispanic youth. With these caveats, the results still warrant further explanation. The CDC does not list race as a risk factor in bullying in general, and academic research has been inconclusive as to whether African-Americans are more likely to bully (or be bullied) than their white peers. This suggests that the relationship between cyberbullying and race is not powered by a disproportional desire to bully per se, but instead by the interest and ease in using technology for social ends. 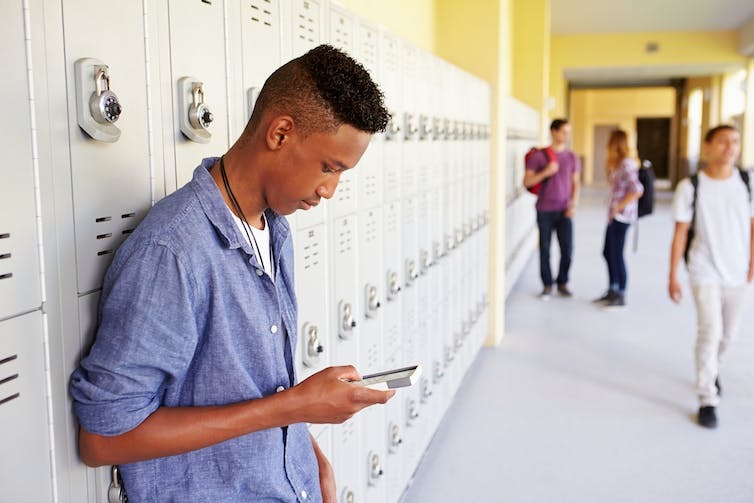 The high rates of cyberbullying among black youth are likely to be tied to a general cultural orientation toward using cellphones to navigate the ups and downs of a relationship. Black youth, because of their agility online, simply find technology more amenable to reaching their goals; they’re more likely to turn to technology when choosing to bully their romantic partners. This unique adoption of technology appears in other aspects of life. The phenomenon of “Black Twitter” and its ability to influence the national dialogue is a prime example. My own research has identified several digital practices that distinguish African-Americans from other racial groups. For example, African-Americans are more likely to use social networking sites to make new professional contacts than other racial groups. This explanation for greater rates of cyberbullying among African-American teens conforms most closely to the data. It also suggests positive recommendations. If black youth are simply more active in the digital environment, the answer for parents and educators may not lie in banning or restricting cellphone use. The answer instead may be to find ways to harness this interest and channel it in more fruitful directions.